With more than 20 years of experience, Julian Montero represents clients in their general business and transactional matters, including corporate structuring, business planning, mergers and acquisitions, cross-border transactions and finance matters and he regularly advises foreign investors on strategies for successfully acquiring or establishing businesses in the United States. 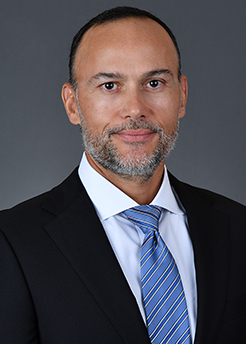 Julian has substantial experience with business immigration matters and works closely with the firm's EB-5 practice team, representing both U.S. clients seeking to raise capital and foreign investors. Prior to joining the firm, Julian was a founding partner of Montero Wolkov LLP. He began his career at major international law firms, including White & Case and Greenberg Traurig. Julian frequently counsels the Chilean Foreign Ministry and Chilean Consulate General in Miami with a variety of U.S. related legal matters. Raised in Chile, Julian is fluent in Spanish.